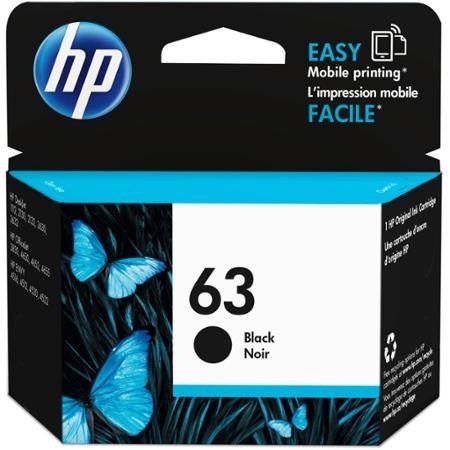 Genuine OEM HP Ink Cartridge, Black, 190 page yield. HP part number: HP 63 Black, F6U62AN. I love to order this ink from here. It consistently gives me great documents. It is so much less expensive than what you get from stores and equal in quality. Remanufactured HP Ink Cartridge, Tricolor, High Capacity 330 page yield. Replaces HP part number: HP 63XL Tricolor, F6U63AN. Remanufactured HP Ink Cartridge, Black, High Capacity 480 page yield. Replaces HP part number: HP 63XL Black, F6U64AN.